Peregrine Espresso was founded in 2008 by Ryan and Jill Jensen with the hope of serving great coffee to the people of Washington, DC, accompanied by great service, education and a focus on sustainability. The couple met while working at rival cafes but soon knew they would open their own after they were married. 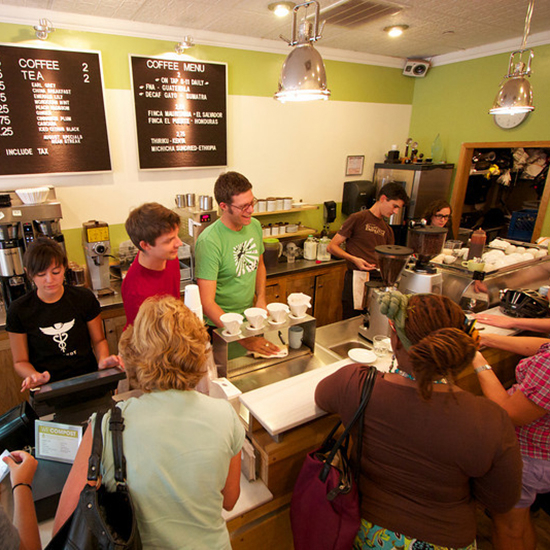 The Eastern Market cafe was their first baby, followed by a baby boy, then MidCity, Union Market, and another baby boy. Ryan continues his 15+ year coffee career shuttling between stores, intimidating staff and wrangling shop managers. Jill helps out with admin and special projects when not wrangling their boys. We try to set a standard of quality coffee with friendly service in the District for all customers who walk in our doors. To encourage staff, one priority has been a transparent and education-driven wage chart for all employees. Many amazing baristas have competed at regional and national Barista or Brewers Cup competitions to continue their coffee education and inspire excitement at the shops. 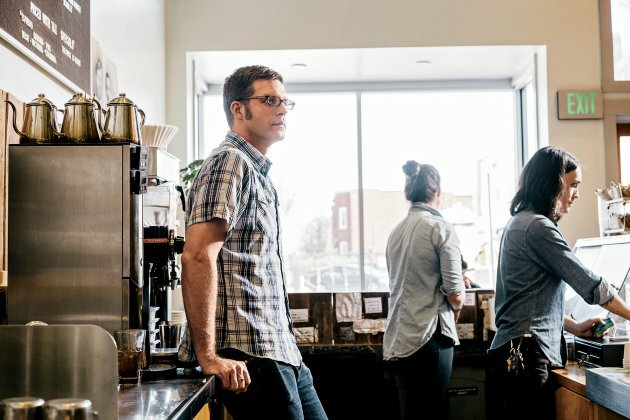 Educating the public through classes or events has been a focus in the recent past to share coffee love with some loyal customers and new friends. Another priority is implementing some environmental sustainability efforts including composting & recycling, using wind power and reusable glass milk bottles. 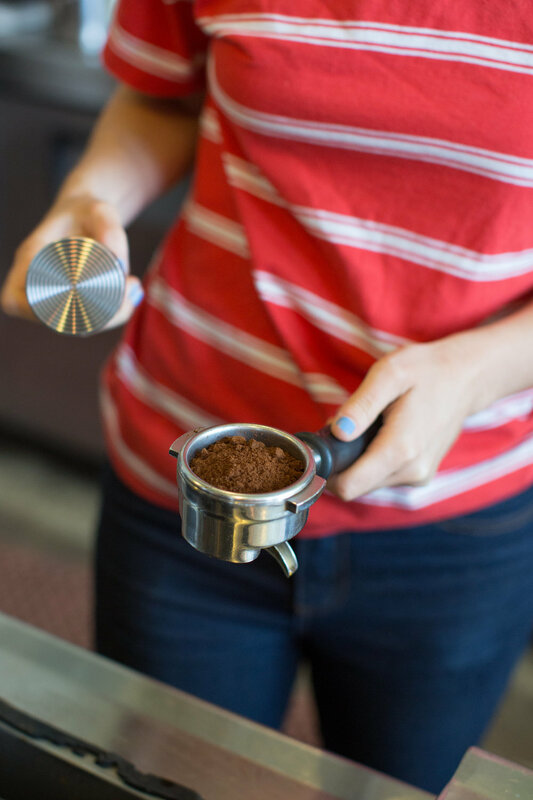 We offer two classes for those who want to learn more about coffee brewing and espresso. Classes are two hours and include a 12 oz bag of whole bean coffee.